While I was in Alabama, I had a free day to do some exploring. What a day it turned out to be. I headed toward Selma, following in reverse the route that the Voting Rights Marchers of 1965 took from Selma to Montgomery. It all began here, at the Edmund Pettus Bridge over the Alabama Rivera at Selma. On March 7, 1965, several hundred African-Americans began a march to Montgomery to demand voting rights in the wake of the killing of a young black boy in nearby Marion, Jimmie Lee Jackson. On the other side of the bridge they were met by armed and mounted police who used whips, rubber tubing wrapped in barbed wire and tear gas. The scene was caught on film and broadcast nationwide. After another peaceful crossing of the bridge, the final march began on March 21, 1965. By the time they reached the Alabama Statehouse on March 25th, they numbered some 25,000 people, black and white, from all over the country. These events spurred President Lyndon Johnson and the U.S. Congress to pass the Voting Rights Act of 1965, which still is law today. The town of Selma sits on bluffs over the river and in the heart of the Black Belt cotton-growing region of Alabama. 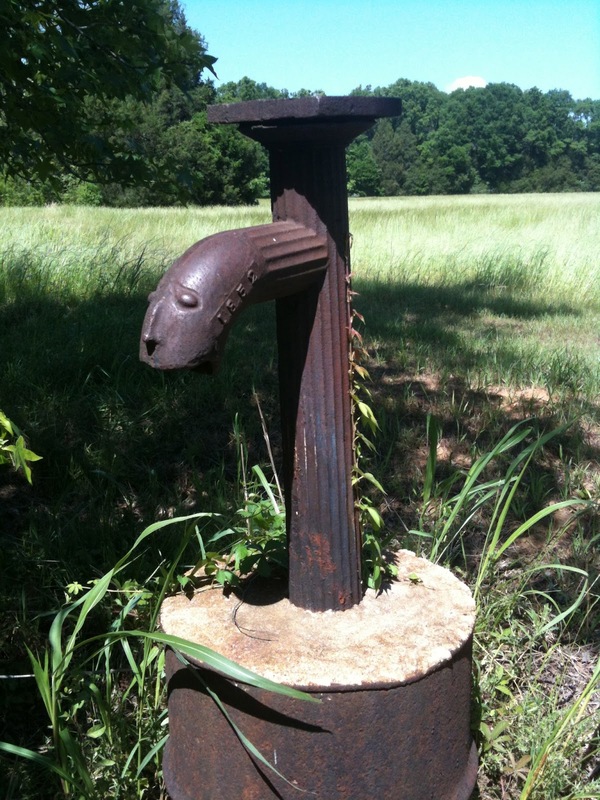 Artesian wells are everywhere in the region. Here is a beautiful one in downtown Selma. Another view of the 1940 Edmund Pettus Bridge over the Alabama River. Alice Randall, author of The Wind Done Gone and Ada's Rules, spoke at the Alabama Book Festival in Montgomery about her Alabama roots, including kinship with Confederate General Pettus. Here is the Last Supper painted on a window. From Selma, I drove a little way west to the site of Cahaba, or now called Old Cahawba, the first permanent capital of the state of Alabama (from 1820-1826). Today, it is a ghost town. It was one of the most marvelous places I have ever visited. Some of the streets have been cleared and some old town lots are mowed. There are still structures, abandoned, and remnants of the city's former life. Most important towns in the early 19th century were located along rivers for ease of transportation. Cahaba was sited at the confluence of the Alabama and Cahaba Rivers. The spot is lush and almost tropical. After the capital was moved to Tuscaloosa (and finally Montgomery), Cahaba languished until the railroad came in 1859. After the Civil War, the county courthouse was relocated to Selma and Cahaba was abandoned by whites. There was still a thriving community of Freedmen here, though, who were politically organized. By the end of the century, there were only a few farmers left. The town's buildings were demolished and the brick sold. There are just a few remnants left, but they are gothic and mysterious. Cahaba is famed for its ghosts, too, as memorialized by Alabama folklorist Kathryn Tucker Windham. From near the old center of town, the Alabama River. 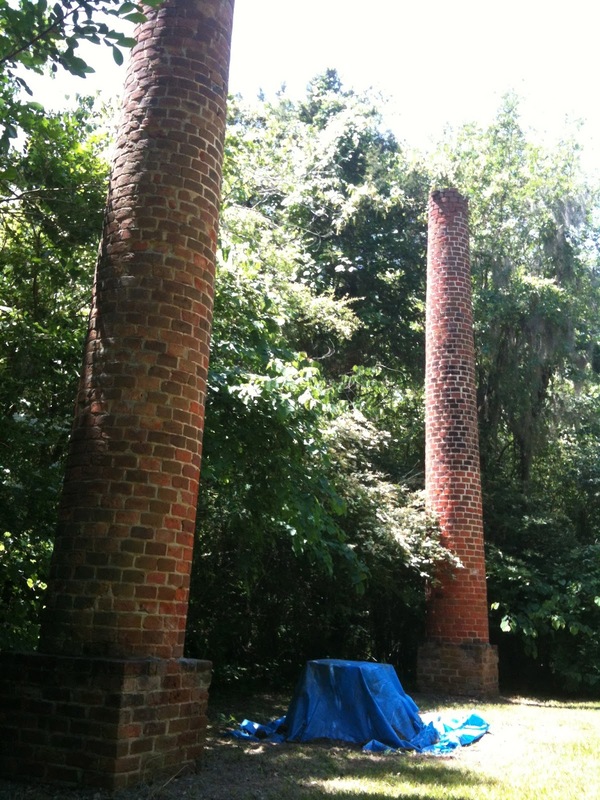 A lone chimney where a prison that held 3,000 Union soldiers once stood. 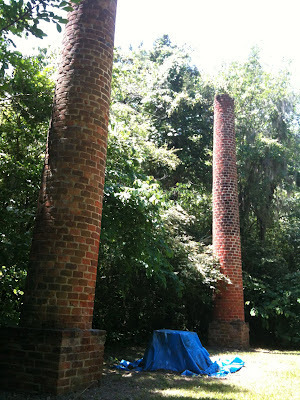 Brick columns, all that is left of a grand mansion that overlooked the river. 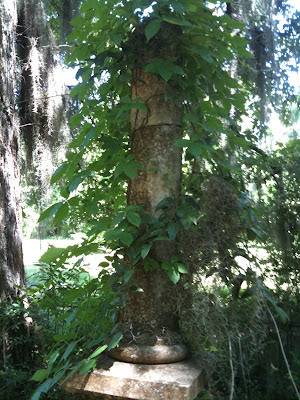 The grave of Mealy Starke in the African-American burial ground, a haunting spot. One of the abandoned homes, originally built in the 1840s. 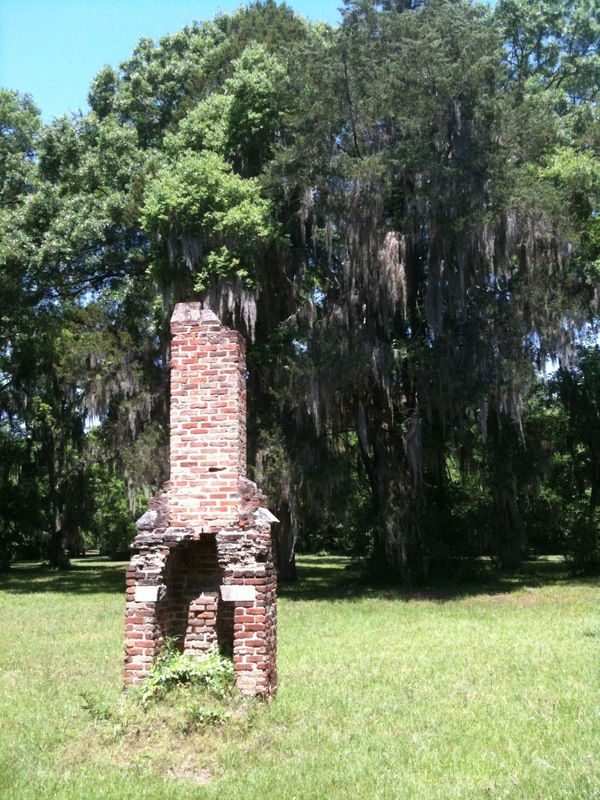 All that is left of the substantial brick Methodist Church, built c. 1854. An artesian well still flows into its elaborate brick basin. The only thing that's full here is the cemetery--in a beautiful ruin. The old iron fences, from the 1850's, still stand around many family plots. A beautiful monument, a broken column, a Victorian trope, covered in vines. A row of family plots. A beautiful tree in a prairie in the midst of Old Cahawba. A fancy wellhead shaped like a face, dated 1852. The beautiful prairies of Central Alabama. After spending several hours wandering Old Cahawba, I wanted to take a look at Gee's Bend, too. Famous for its long-established and innovative quilting community. The landing for the car ferry. You can take a ride on the river for $3.00. The community/quilting center--this is where it happens. The streets of the village have these large pictorials of the beautiful, abstract quilts. I regret never making it to Gee's Bend, although I did see a fabulous exhibit of quilts from there.